Three Products From Juice Beauty I Have Recently Incorporated Into My Routine. You all know how much I love a good exfoliating product and I am always excited to add a new one into my routine, This Exfoliating Peel Spray from Juice Beauty is a treatment that can be used 2-3 times a week and contains Grapeseed Extract and Fruit Stem Cells that help to increase cell turnover, Vitamin C and Licorice Root Extract help to brighten the skin and Cucumber and Aloe Extract soothe and hydrate. You use this product after cleansing by spraying directly onto the skin (avoiding eye area) from a 5-10cm distance, you can then massage the product in for 30 seconds and rinse off. Using this treatment regularly will help to resurface the skin and help to brighten and smooth, exfoliating regularly also helps the products you use absorb better. As soon as I received this product in the mail I instantly applied it to my skin, I always get excited by face masks and from the moment I used this one I knew I would love it. It contains a blend of AHA's and BHA's (Malic, Glycolic, Lactic and Salicylic) which really help to resurface and brighten. I found it really good at giving my skin a deep exfoliation and after I rinsed the product off my skin felt really smooth and the texture of my skin looked more even, it also gave my skin a really good glow. It can be left on the skin for up to 10 minutes and can be used up to 1-2 times a week, I would especially enjoy using this mask before a big event to make sure my skin is in tip top shape. For those mornings where I wake up and my skin is looking a bit dull, I like to apply this after cleansing and let it work it's magic whilst I have my morning coffee and rinse off in the shower to give my skin a boost. I have really been into moisturisers lately, even though I have an oily combination skin type I like to finish my routine off with a moisturiser to keep my skin hydrated and balanced. 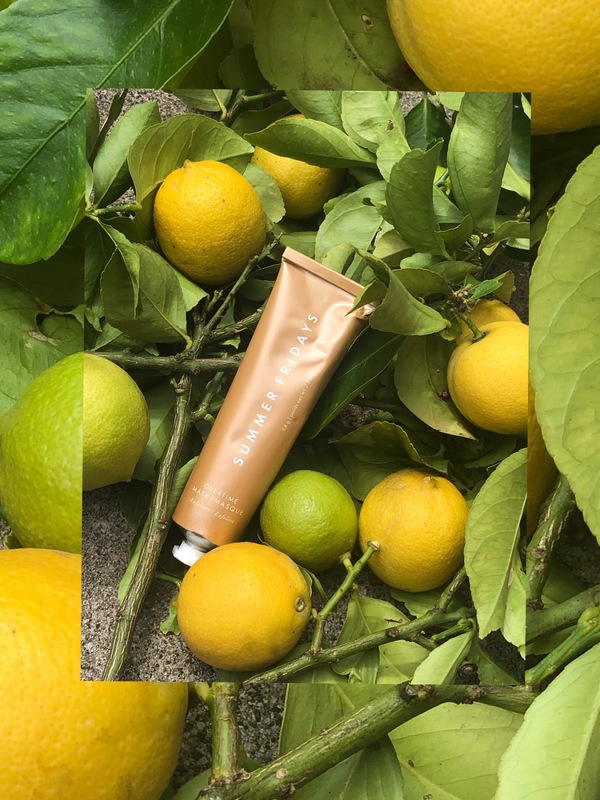 I like this moisturiser from Juice Beauty as it's lightweight and doesn't leave my skin feeling greasy, it contains Resveratrol, Vitamin C and Fruit Stem Cells that brighten, smooth and firm. I don't like heavy creams and this feels really lightweight and absorbs well into my skin, It sits really well under makeup and keeps my skin hydrated throughout the day. In Australia Juice Beauty is available at Mecca Maxima stores and online Here. *The products mentioned in this post have been sent to me by Mecca, as always every product mentioned has been personally tested by myself. Meet The Founder: Shamso From Qasil Organics. First of all, can you give my readers a quick overview of your brand? Qasil Organics is proudly Australian Made. We only source the highest quality of ingredients to go into our products, so we know you will receive a pure product with lasting impact. Our products are completely FREE of harmful chemicals, parabens, sulphates, silicones or fragrances. Our products contain only the highest quality certified organic and natural ingredients. In the current skincare market of black, pink, and clay masks, Qasil Organics is fast becoming a standout for myriad reasons. Central to the uniqueness of our brand which has intrigued - and assisted - the skin of millions of women around the world is the ‘gob’ plant. Qasil is a powerful soap-free cleansing powder that is naturally derived from the ‘gob’ tree which grows in East Africa. The Qasil leaves are collected, crushed into a powder and used in their raw and unprocessed form. Women in East Africa have used leaves from the gob tree for centuries to exfoliate and soften their skin. The star ingredient in all of our products is Qasil, Fun fact, the Qasil powder has a fine texture enough to exfoliate but gentle enough to be used for sensitive skin. The leaves are not only antibacterial but also high in antioxidants and vitamin C which helps protect the skin from the harm caused by free radicals. While this product is new to the Australian market, women in East Africa have used leaves from the gob tree for generations. We are excited to now be providing Australian women the same opportunity. I have always been into beauty especially natural beauty. My mother has been using Qasil and introduced me to this natural plant. Given how widespread and popular Qasil is across East Africa, the use of it is often handed down from mother to daughter. I have been making the Qasil facial mask for family and friends for many years and regularly received glowing testimonies about how it improved the appearance of their skin by giving it a flawless complexion. What inspired you to create the range? I started Qasil Organics after noticing the complete lack of plant-based facial masks that are 100% natural in the skin care market. It was virtually impossible to find a facial mask that did not have harsh chemicals and that was good for the skin. Given the lack of natural products on the market, I began to look for alternatives. Speaking to my mother and friends in my East African community, I realised how widespread the use of natural, plant-based facial masks known as Qasil was in my community. This experience led me to rediscover Qasil – an all-natural plant with amazing properties for the skin – improving its quality over time. Who are the products best suited to? Our products are suitable for all skin types and can be used by both men and women. I see you have a powder in the range; can you explain how to use it and how to get the best results from your products? 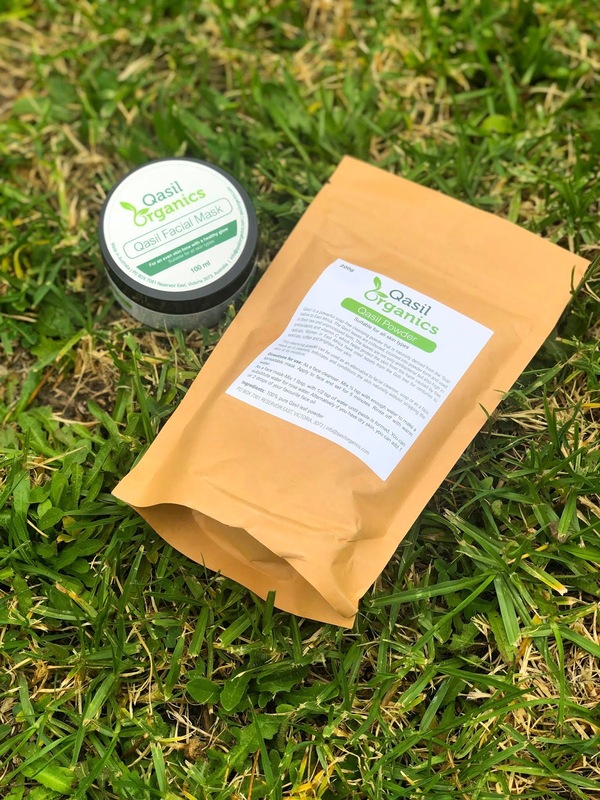 Qasil Organics 'Qasil powder' can be used as 100% natural soap-free alternative to facial cleanser/soap or used to make your own DIY face mask as it cleanses and conditions the skin naturally without stripping the skin of its natural moisture. The Qasil leaf powder can be used as a facial cleanser! Directions for use: As a face cleanser- Mix ½ tsp of the Qasil leaf powder with enough water to make a spreadable mask. Apply to face and set for 5 minutes. Rinse off with warm water. This soap-free cleansing powder gently cleanses and conditions the skin. The Qasil leaf powder can be used to make your own DIY face mask to suit your skincare needs. As a face mask Mix 1 tbsp of the Qasil Leaf Powder with ½ tsp of water until a paste is formed. You can substitute water for rose water. Alternatively, if you have dry skin, you can add 1 or 2 drops of your favourite face oil and add ½ tsp of honey. Leave the mask on for 30 minutes and rinse with warm water. For best results, we recommend using the Qasil Mask 2-3 times a week. I noticed your products are quite natural, is that something that is important to you? Qasil Organics products are made with the highest quality of natural and certified ingredients, our products are completely free of harmful chemicals, parabens, sulphates, silicones or fragrances and contain only the highest quality certified organic and natural ingredients. I have always used natural products on my skin, and as a result created a skincare range designed to detoxify, nourish and revitalise the skin naturally. Are there any new products coming up that we should know about? We plan to expand Qasil Organics into a whole skincare range product line. Our next skincare range will include body scrubs and body butter. Our Qasil Mask and Qasil Powder are both available on our website www.qasilorganics.com and the Qasil Mask is available via Amazon.com.au, Amazon.com and on Amazon.uk.co. 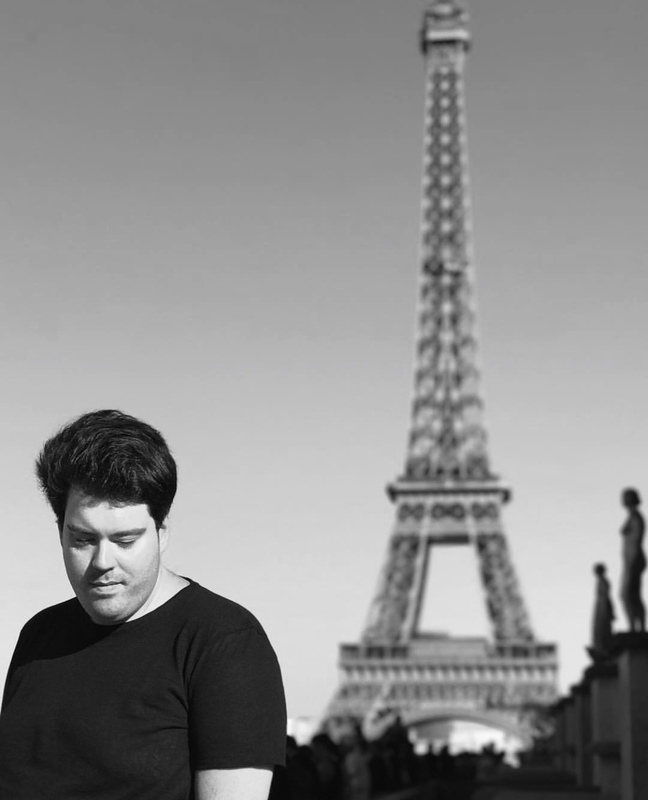 Thank you to Shamso for taking the time out to do this interview. Aleena Maney X Just Lashes. Aleena Maney is a leader in the Australian Beauty Industry, being the director/franchisor of lash specialty franchise, Just Lashes. Aleena is an inspiring lady boss with a remarkable story to tell. In the below interview, Aleena contributes her knowledge, expertise and life lessons in order to inspire and motivate others wanting to get into the beauty industry, with the warmth and authenticity that is a part of what’s made her such a successful entrepreneur/boss babe! Meet The Founder: Amanda Appel Co-Founder Of BLOC Cosmetics. First of all, can you give my readers a quick overview of the brand? For years, my co-founder and father, Dermatologist, Dr. Michael Freeman, had been compounding products for his loyal patients in his clinic on the Gold Coast, after struggling with the beauty industry’s tendency to fill skincare and cosmetics with a lot of negative or unnecessary ingredients for the skin. Fast forward to 2015, and ‘BLOC Beta’ was born. I was working with my father in-clinic, helping him craft a line that covered all bases, and targeted skin conditions or goals that his patient database wanted. After years of formula testing, patient feedback, and design, BLOC was publicly launched in 2018. BLOC’s commitment is to follow the science; ever-changing, improving and achieving positive results for our following. My background is in marketing, PR and business consulting. I spent many years in the non-profit sector, working for RSPCA Queensland amongst others, before moving to focus on the family business. I now run a Medi Spa, BLOC and events venues. What was your inspiration for creating the brand? The inspiration came from within my father’s medical clinic. We saw thousands of patients each year unsure of what to buy, or buying less than ideal products, which would lead to them going backwards in their skin goals. So product creation was a logical step in the Dermatology practice. What we soon realised was that the broader market is also interested in hearing from a skin specialist, about what really is good vs. not. Do you have any tips for someone wanting to start a beauty brand? It always takes three times longer than you think, and if you’re doing it right, it should. It takes more money than you think, and there are many moving parts. Packaging is a particularly tricky aspect, as we wanted our boxes recyclable, and our tubes made out of recycled plastic. Create your brand voice, and stick to it. Don’t waiver to please the masses. Stand out. How do you decide what products you want in the range? This is very much a collaborative approach between myself identifying what is emerging in the retail market/client feedback and requests, and from Dr. Freeman identifying scientific advances, and what is possible. We then pair this knowledge and look for market needs, vs emerging market trends for wants in the longer term. We are working on two new products right now, that will be available hopefully pre-Christmas. What are the key products and ingredients you think should be in a typical skincare routine? Sunscreen! Ideally a physical (zinc oxide) - we have this in many of our products, including Your Cover, and Repair Your Skin. We also endorse certain chemical sunscreens for prolonged sun exposure for adults. For cleansing, we like salicylic acid - highly effective. Moisturisers are important in a skincare routine, not just the face, but the whole body. 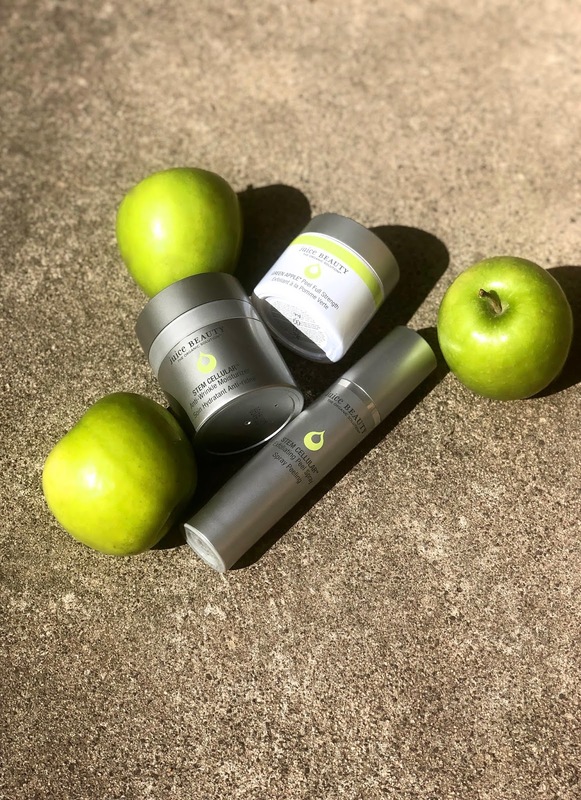 When using them on the face, we like to see DNA repair ingredients, sunscreen, vitamin E and other actives in to protect this part of the body that sees a lot of photodamage. Are there any new products coming up in the near future? Yes, we are working on two that will likely come out at the end of the year. Stay tuned! 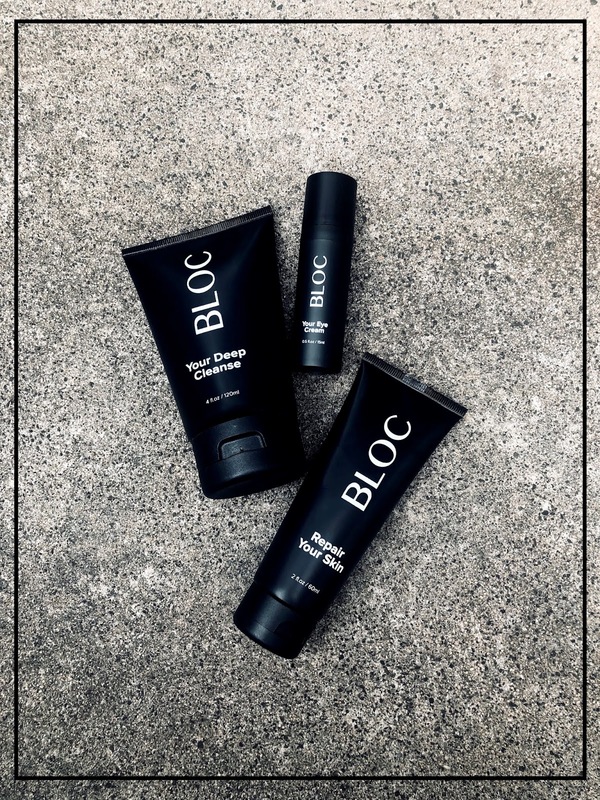 To find out more about BLOC Cosmetics Click Here. *Thank you the team at BLOC Cosmetics for taking the time out to answer questions. By now we are all well aware of the hype on Summer Fridays, and for good reason. There's always a rush of excitement when they launch a new product and everything I have tried from the brand so far has been amazing. The Overtime Mask has been out overseas for a while now but it just recently launched in Australia at Mecca Cosmetica and Mecca Maxima. The Overtime Mask combines two of my favourite things, an exfoliator and a mask. You start of by massaging the product into your skin for 60 seconds and leaving on like a mask for up to 10 minutes and rinsing. It contains Pumpkin to exfoliate and hydrate, Apricot Seed Powder which works as a gentle exfoliant that sweeps away dead skin cells, Oat Kernel Protein has anti-irritant and anti-inflammatory properties and Vitamin E is a powerful antioxidant that protects the skin from free radical damage. The Apricot Seed Powder in this product works really well at exfoliating my skin but never feels like it's scratchy or stripping my skin, my skin immediately feels smoother and has a definite glow to it. I first used this mask prior to shaving and it really helped to prevent in-grown hairs and made way for a closer shave, I have also been using it throughout the week to keep my skin exfoliated and for those times when it needs a boost. My skin benefits from regular exfoliation and I have seen great results from doing so, to me exfoliating is one of the most important parts of my routine as it really helps to keep my skin clear and in tip-top shape. Exfoliating regularly will help the other products you use afterwards absorb better, when I am giving myself a mini facial I use this product and then I apply a thin layer of the Summer Fridays Jet Lag Mask to add an extra layer of hydration to my skin and both products work beautifully together. I do travel quite a bit throughout the year and am always thinking about what beauty products to bring away with me and these two easily fit into my routine and are easy to travel with. In Australia, Summer Fridays is available online and in-store at Mecca Cosmetica and Mecca Maxima stores. For more information on Summer Fridays Click Here. *The products mentioned in this post have been sent to me by Mecca, as always all products have been tested and reviewed by me. Kiehl's 28 Day Complexion Cleanse. For the month of February Kiehl's have started the #28DAYCOMPLEXIONCLEANSE challenge which gives you a guide with lots of tips and tricks, everything from healthy eating to beauty tips the guide gives you a really comprehensive list of things to add into your routine. To sign up for the challenge and to learn more you can click Here. Inspired by the challenge I thought I would talk about a few products that are always in my routine, the four products mentioned are products that are mainstays in my routine and ones that I never tend to skip out on. I always have a Vitamin C serum in my routine, I find them to be really good at keeping the texture and tone of my skin even and they provide my skin with Antioxidant protection on a daily basis. 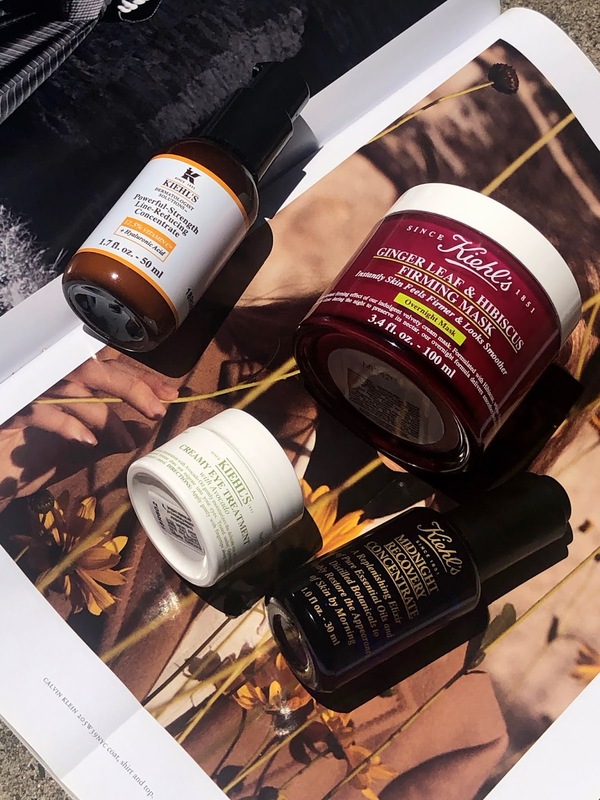 Product Recommendation: Kiehl's Powerful-Strength Line-Reducing Concentrate. This serum from Kiehl's contains 10.5% L-Ascorbic Acid, 2% Ascorbyl Glucoside and Hyaluronic Acid and with continued use, I have noticed that my skin is a lot brighter and has a glow it. I find that it also helps keep the texture of my skin smooth and I like knowing that my skin is protected from environmental stresses as Vitamin C is well known for providing Antioxidant protection. Even though I personally have an oily combination skin type I like incorporating a face oil into my routine as it helps to keep my skin balanced, I either apply it before my moisturiser or sometimes I like to add a couple of drops into my moisturiser to add an extra dose of hydration. Product Recommendation: Kiehl's Midnight Recovery Concentrate. This face oil has become a cult classic in its own right, although it's an oil it's super lightweight and instantly absorbs into the skin. I find it really good at calming my skin down and giving it a glow, It's one that I always like having in my routine for those times when my skin needs a boost. I started using eye cream from quite a young age and honestly believe it's an important part of any beauty routine, As the skin around our eyes is thinner than the rest of our face it's important to take special care of the area. Product Recommendation: Kiehl's Creamy Eye Treatment With Avocado. I have been using this eye cream over the past few days and it has really helped to keep my under eye area hydrated and smooth, it also forms a really nice base for concealer to go on top of. 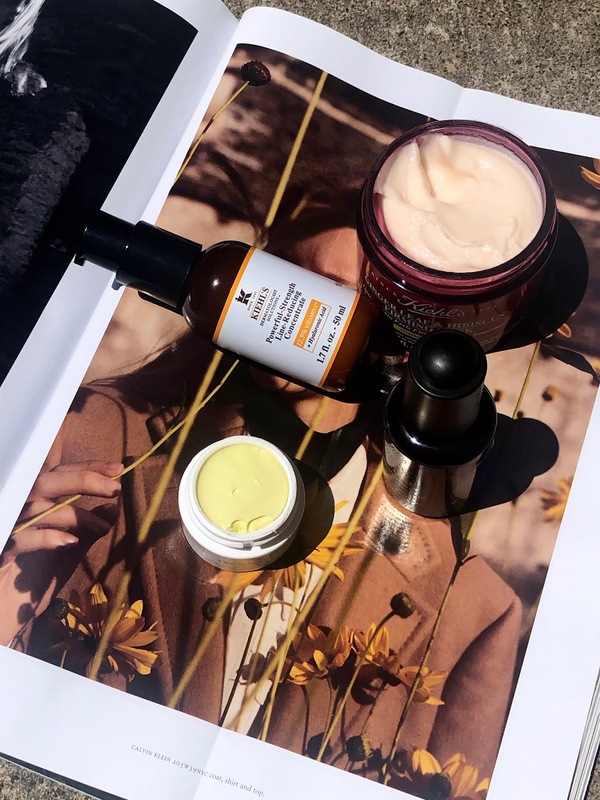 When my skin is looking a bit dull and feeling a tad dehydrated I like to use an overnight mask to add some hydration to my skin, I tend to use an overnight mask instead of my moisturiser and on top of a serum and or oil. Product Recommendation: Kiehl's Ginger Leaf & Hibiscus Firming Overnight Mask. This mask contains Botanical Hibiscus that helps to firm and smooth as well as Ginger Leaf that helps with fine lines, I find this mask really good at giving my skin a big hit of hydration and by morning my skin feels smoother and plump. To find out more about Kiehl's and to sign up for the challenge, click Here. *The products mentioned in this post have been given to me by the brand, as always all products have been personally tested by me. 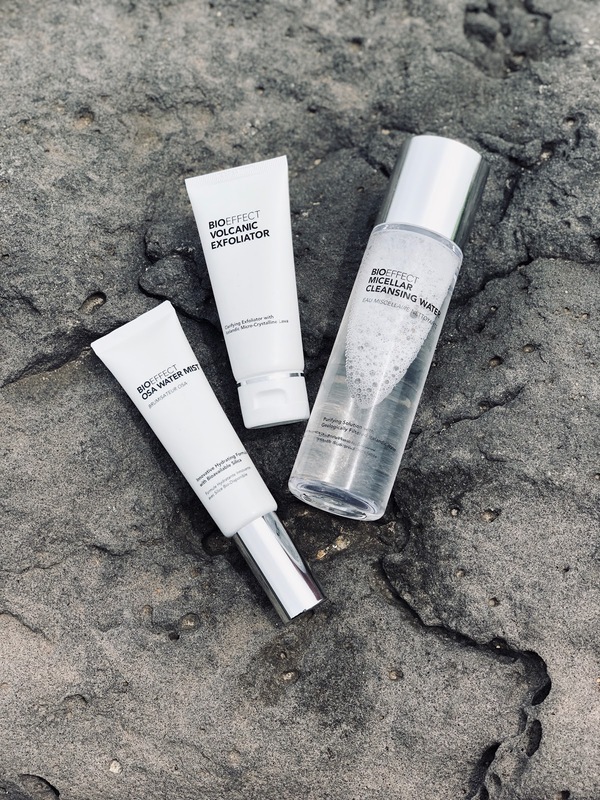 How I Incorporate These Three BIOEFFECT Products Into My Routine. I have said it many times before but cleansing really is the most important part of any routine, it sets your skin up for the products that follow and choosing the right cleansing product for your skin type is crucial. Although I change up things like serums and moisturisers, my cleansing routine tends to stay the same and it's something I always do morning and night no matter what. If I am wearing makeup and want to remove it before a second cleanse or if I just want a quick cleanse in the morning I opt for a Micellar Water, The one I have been using on rotation lately is the Micellar Cleansing Water from BIOEFFECT. It contains cleansing micelles that help to draw out dirt, oil, and impurities whilst removing makeup, I like to start with this to remove my makeup before going in with a cleanser or exfoliator to make sure my skin is clean and ready for my serums and moisturisers. The cleansing water contains Geologically Filtered Icelandic Water that hydrates and soothes your skin. You all know how much I love a good exfoliator, when I feel like my skin needs a deeper clean I reach for the Volcanic Exfoliator from BIOEFFECT which contains Pure Inert Volcanic Pumice that gently exfoliates the skin. I find this product really good at keeping the texture of my skin even and smooth, It's also really good to use before shaving and after I use it I feel like the products I use absorb better. Another beauty staple for me is a face mist, I like using a mist after I cleanse in the morning and at night aswell as throughout the day to keep my skin hydrated and my makeup fresh. The OSA Water Mist from BIOEFFECT contains Geologically Filtered Icelandic Water that instantly adds a layer of hydration to your skin and helps keep it balanced. I especially like the mist on this product as it distributes around the face evenly and never interferes with makeup application. I have one in my bathroom and one in my bag at all times and always like knowing it's nearby. For more information on BIOEFFECT Click Here. *The products mentioned in this post have been given to me by the brand, as always I have personally tested the products mentioned.